Members of the BBC participate because of their love for music, affection for each other, and for the pleasure of our audience. No members, directors, other staff or board members receive compensation. We are sensitive to the difficulty that some may be encountering with the current economic situation we all face. 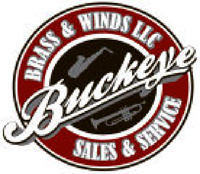 The Brass Band of Columbus is a bona fide 501-(c)3 non-profit, therefore, your donations are eligible for tax deductibility to the maximum amount allowed by Federal law. We are happy to provide appropriate documentation for your use. 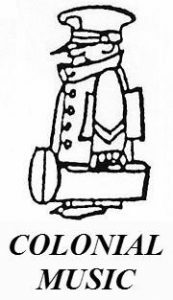 Without the generous support of Corporate Supporters, the Brass Band of Columbus would be limited in its ability to function at a level commensurate with its abilities and prestige. We gratefully acknowledge the support of the companies and organizations below for both financial and in-kind support. Won’t you join this list? Below is a list of current band priorities. If you would like to underwrite the purchase of one of these needs, please contact us and indicate your preferences. Recording Equipment: $2000 + Thank you! Portable director’s podium: ($300) Thank you, Carolyn Weltzheimer! Stand banners: ($3500) Thank you! The BBC is supported by a Board of Directors who act in an advisory role to assist the organization in realizing its strategic goals. The Board has no fiduciary control. Anyone interested in joining our Board of Directors should contact us. View more about our current Board.